Chapstick and Blistex are both popular brands of lip salves or lip balms. They can be used to soften and protect the lips. As well as helping to prevent the lips from becoming chapped, lip balms can also help to treat lips if they have already become chapped. Lip balms often contain moisturizers and sunscreen. Although each variety of Chapstick or Blistex contains different ingredients, some common ingredients are camphor, petrolatum, vitamin E, beeswax, aloe and menthol. Both Chapstick and Blistex lip balms are usually sold in lipstick style tubes, which allow the stick of lip salve to be twisted up out of the lipstick case when in use, and then twisted back down again for storage. However, tubs of balm are also available. The Chapstick name has become so familiar that it is now considered to be a generalized trademark that is a brand name that has become the common name for all lip balms which are supplied in lipstick tubes. However, the Chapstick name is still used as a trademark. The brand name belongs to the Pfizer company. Blistex is the name of a brand of lip salves and of the company that own it. Unlike the Chapstick name, Blistex is not usually used as a generic term. Chapstick has its origins in the foil-wrapped lip balms invented by Doctor Charles Browne Fleet in Virginia, during the 1880s. However, it was not until the idea was bought for just five dollars by John Morton and his wife in 1912 that the lip balm began to gain in popularity. Mrs. Morton melted the mixture in her kitchen and shaped it into sticks. The Chapstick logo was designed, for a fee of 50 dollars, by Frank Wright Junior during the 1930s. The same logo is still used today. The Morton Manufacturing Company sold Chapstick to the AH Robins Company in 1963. During the 1970s, it was Chapstick tubes that were used to conceal the hidden microphones that played a part in the Watergate Scandal. In 1988, the company was taken over by AHP, which later became Wyeth. Pfizer bought Wyeth in 2009. Blistex started as a small American family owned business in 1947. Although it has grown substantially since this time, the company still focuses on manufacturing lip balms and it is still run by the same family. However, its range has expanded to produce other products such as hand creams, mouthwashes and pain relief creams. Chapstick and Blistex are the main competitors for the lip balm market in the US, but in some countries, other brands such as Lipsyl form the main competition. The regular Chapstick tube was the only lip balm to be manufactured by Chapstick until the introduction of new flavors and varieties from the 1970s onwards. Flavors include original, cherry, spearmint, strawberry, mandarin and green tea. Chapstick also produces overnight, medicated, moisturizer and sun care lip balms, and the pink ribbon Chapstick, for which a donation is made to a breast cancer charity for every purchase. Other varieties include the ultra smooth balm, which is supplied in a pot rather than a tube and the Flava-Craze range, which is marketed to children and teenagers. Blistex lip salves also come in a range of different types and flavors. These include berry, tropical, raspberry lemonade, mint, cherry and herbal flavors. Blistex also produce medicated balms, silk and shine glossy lip balm, deep renewal anti-ageing balm, and a textured, massaging balm. 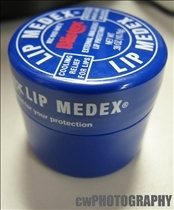 As well as its lipstick style lip salves, Blistex also produces lip balms that are sold in tubs. Some varieties of Chapstick are slightly colored, but most Blistex lip salves are completely clear. Chapstick tends to be slightly thicker when applied and Blistex tubes tend to last longer. 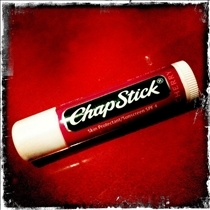 Some people prefer the feel of Chapstick, but others would rather use Blistex and feel that Chapstick is too thick. Blistex also tends to be more effective in very cold conditions, or for very chapped lips. Chapstick and Blistex are both brands of lip balms that are packaged in similar ways, and which come in a range of different flavors and varieties. The Chapstick name is also used as a general name for all lipstick style balms. Chapstick is used as a general name for lip balms, but it is also a specific brand. Chapstick and Blistex use many of the same ingredients and flavors. Chapstick usually feels thicker on the lips and tends to get used up more quickly. Blistex may provide better protection in an extreme environment. Which lip balm works best?